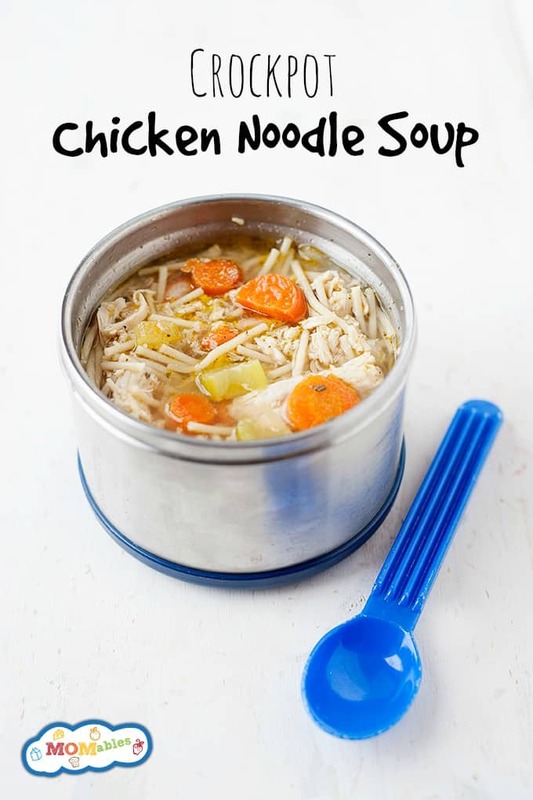 Crockpot Chicken Noodle Soup - MOMables® - Good Food. Plan on it! Crockpot Chicken Noodle Soup - MOMables® - Good Food. Plan on it! Warm up with this classic Crockpot Chicken Noodle Soup! Let the Crockpot do the work and come home to dinner that’s already done. Easy and delicious! Soup is one of our favorite dinners to enjoy as a family. There’s just something about a big bowl of soup that’s so comforting and calming after a long day. I love making this Enchilada Soup or a big pot of Paleo Chili, but sometimes I like going back to a classic – chicken noodle soup! What’s more classic than chicken noodle soup? I swear it cures a cold as soon as it hits! The best thing about this version is that it’s completely made in the Crockpot, which means it cooks while you’re at work or running errands, and it’s done when you get home. A dinner that takes almost zero effort? Win! 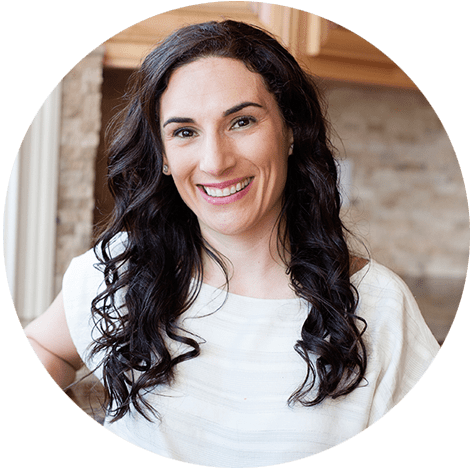 If you’re looking to really cut back on preparation time for dinner, have the ingredients delivered to you already chopped and measured! We’re happy to be partnering with FreshRealm to bring healthy, delicious meals right to your doorstep. Get the ingredients for this Crockpot Chicken Noodle Soup delivered to you! The leftover soup makes for a great thermos lunch. That is, if you have any leftovers! In a large Crockpot (6-quart), place all the ingredients minus the pasta. Cook for 6 hours on low heat, or 4 hours on high. After 4 or 6 hours (depending on temperature setting), remove the chicken and chop to bite-size pieces. Place the chicken back in the Crockpot. Add the pasta, turn the heat up to high, cover, and cook for another 15-20 minutes, until pasta is tender. Discard the bay leaf, and serve soup immediately. You can also use leftover chicken that is already cooked. Follow the recipe as is.